Magnificent 4-bedroom house with impressive sea views, a terrace, garden, swimming pool and 2-car garage. 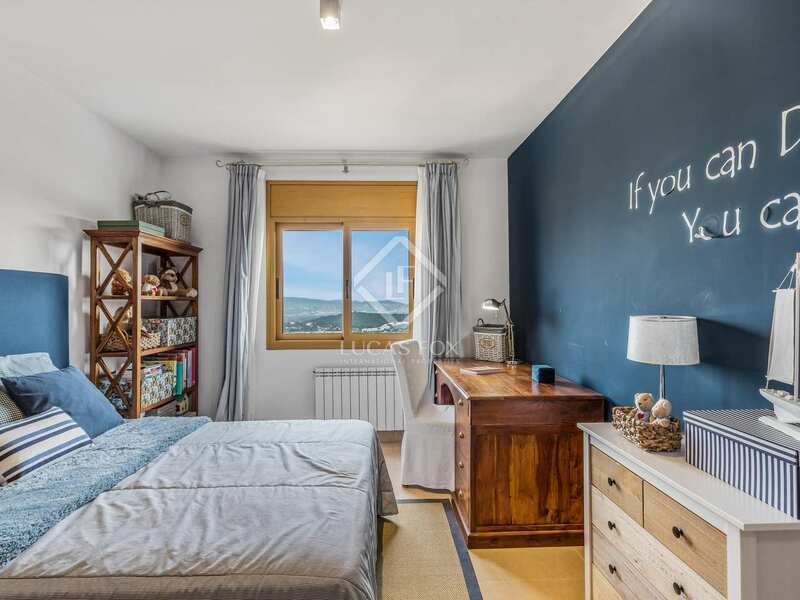 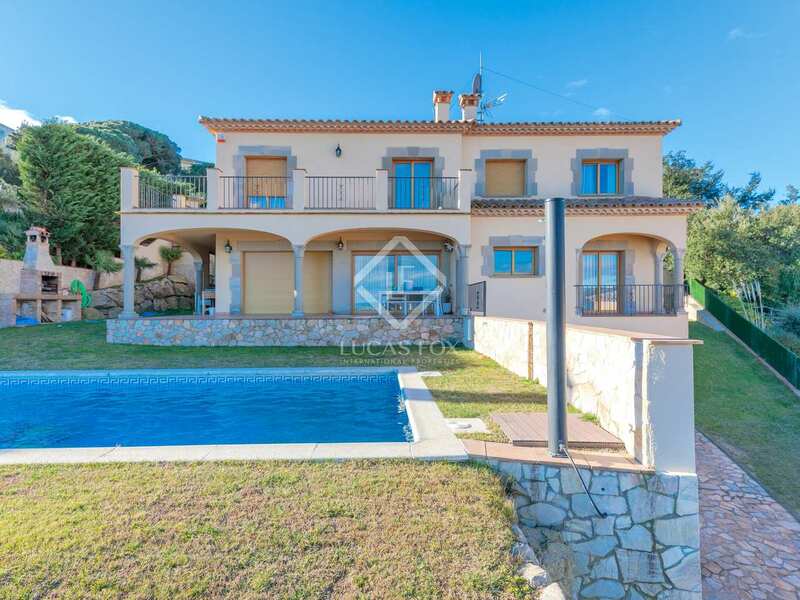 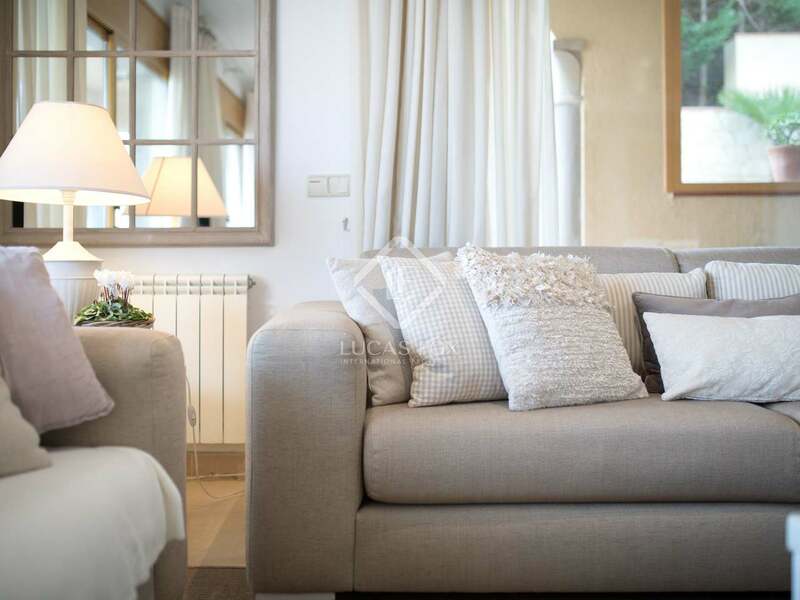 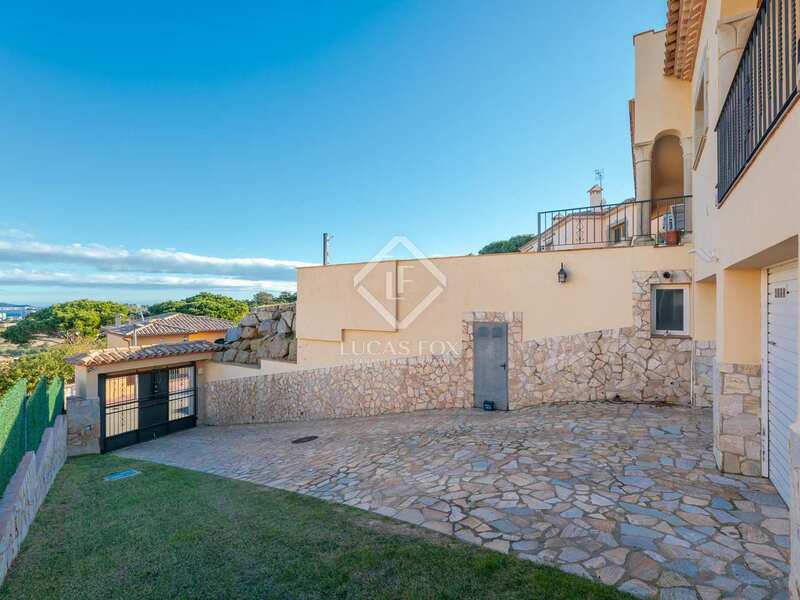 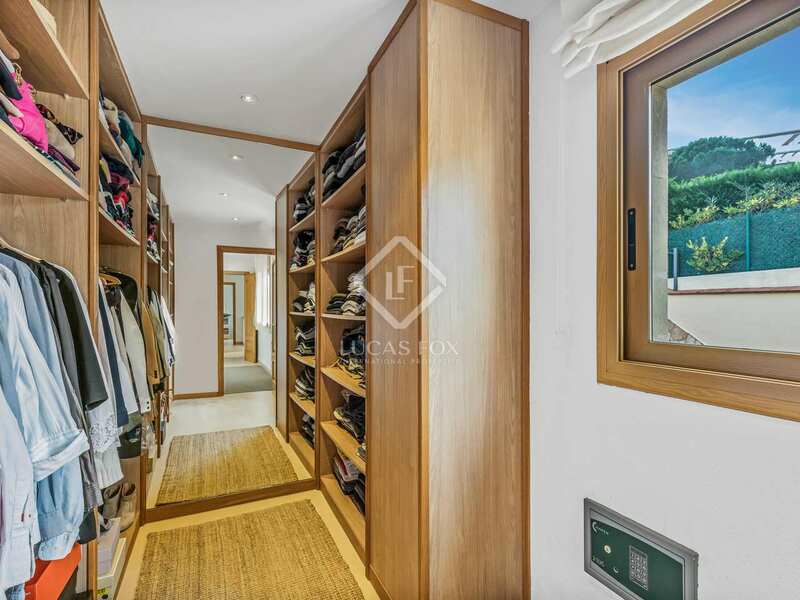 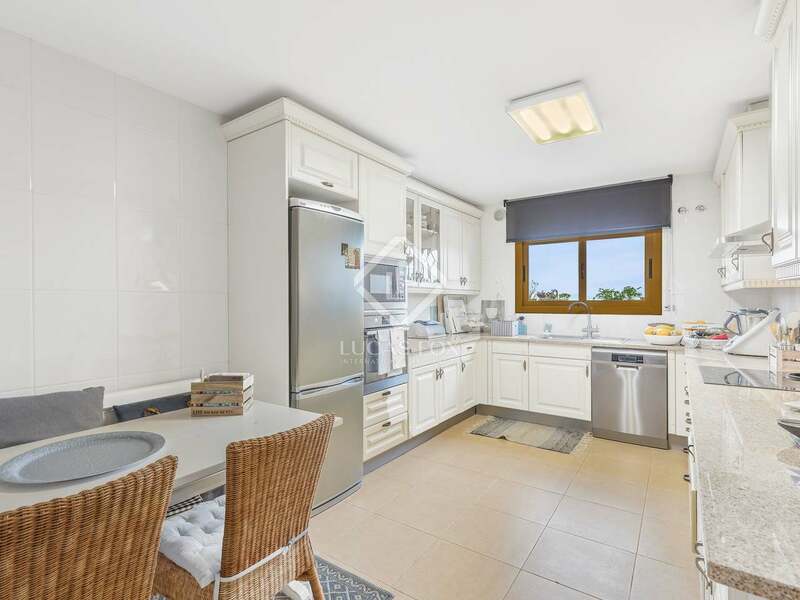 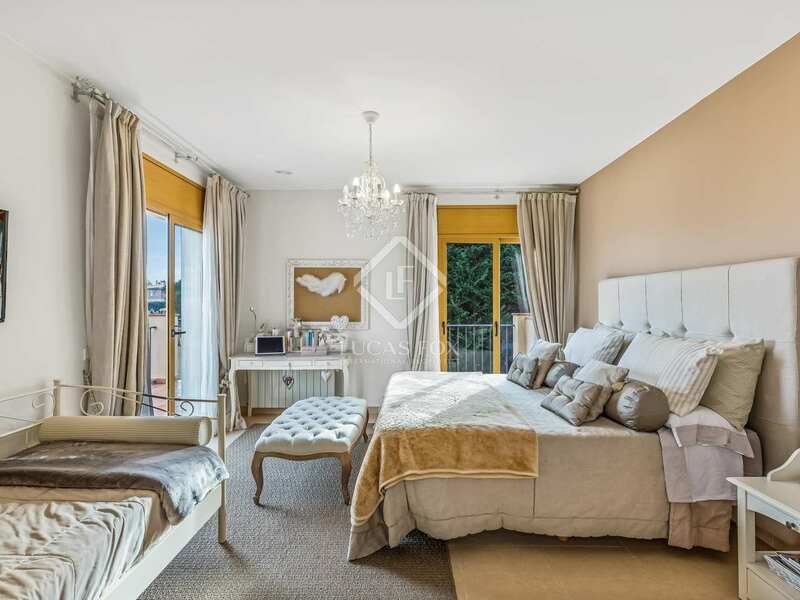 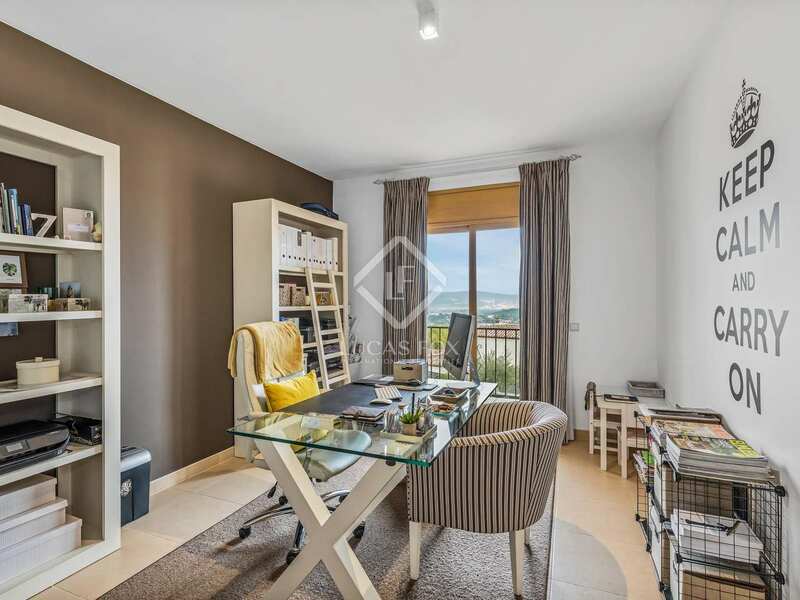 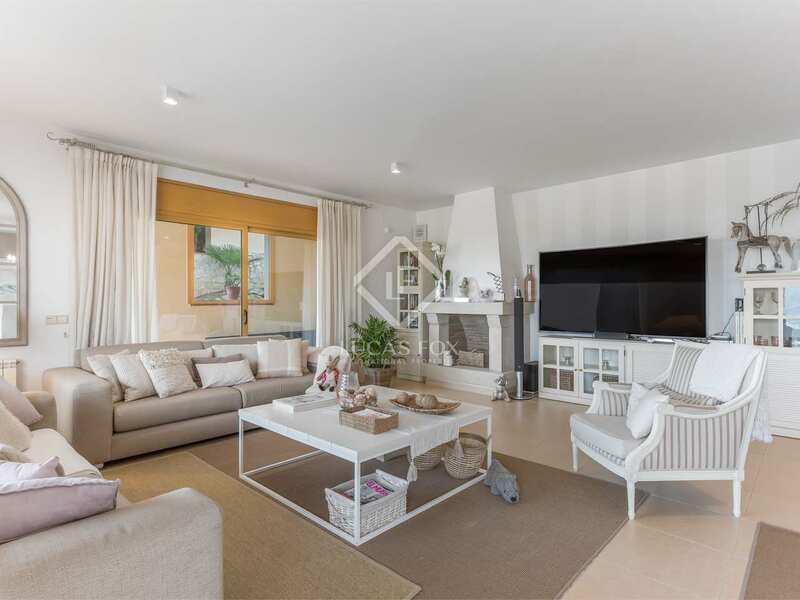 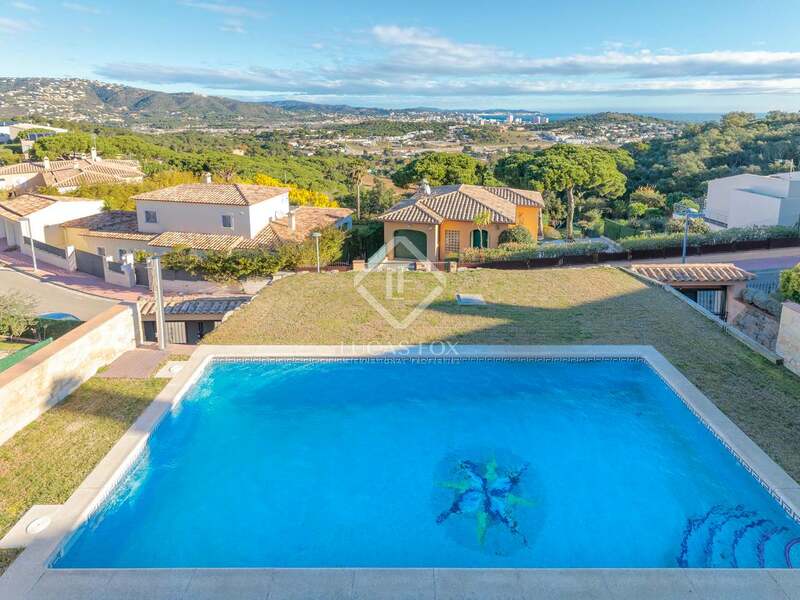 This welcoming house, with fantastic sea views and high quality finishes, is located in a residential community close to the centre of Sant Feliu de Guíxols and S'Agaró. 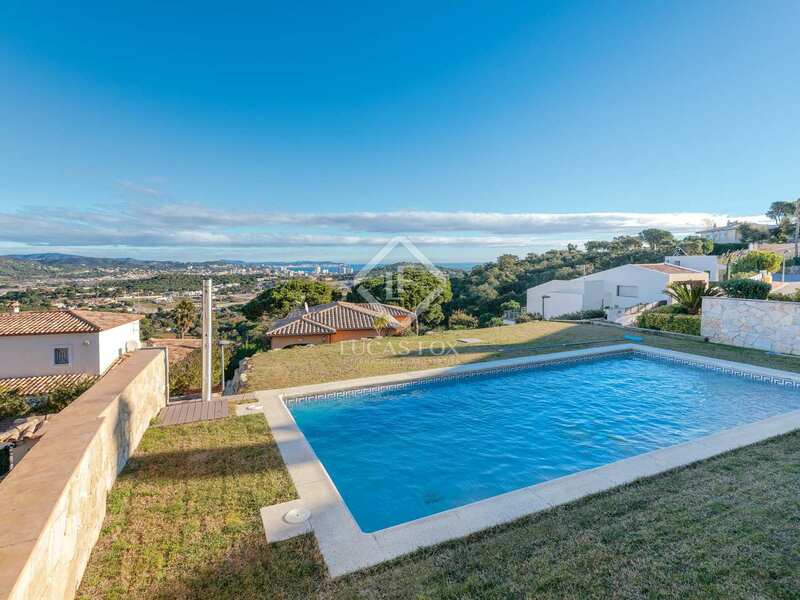 The house has a pleasant, very private garden with a swimming pool. 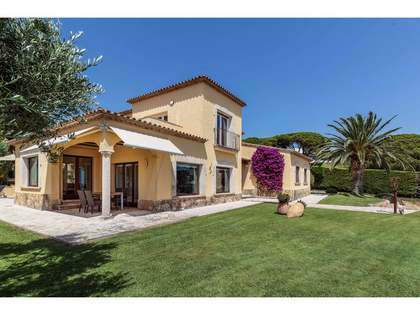 An ideal year-round home, second residence or an investment opportunity, due to its enviable location. 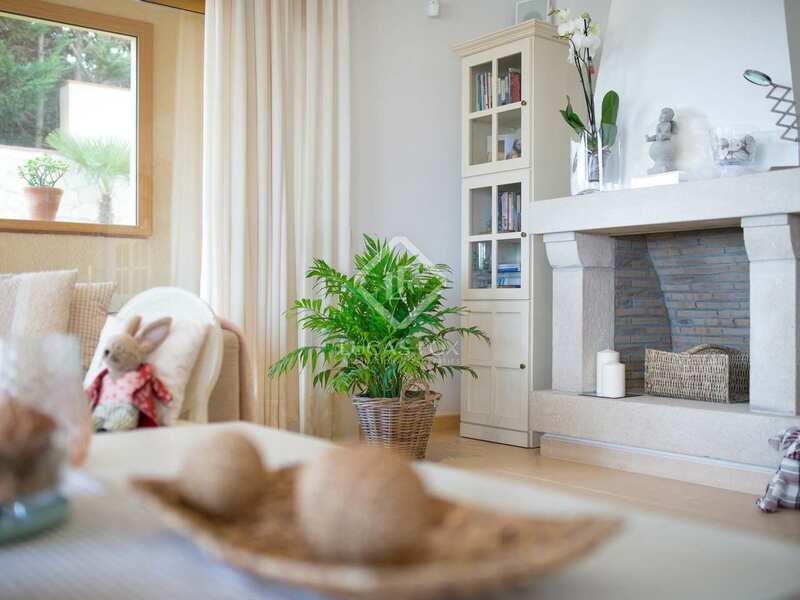 On accessing the main floor we find a spacious and bright living room with a fireplace, which adds a touch of warmth to the space. This room opens onto a fantastic terrace with beautiful views, perfect for dining outdoors. 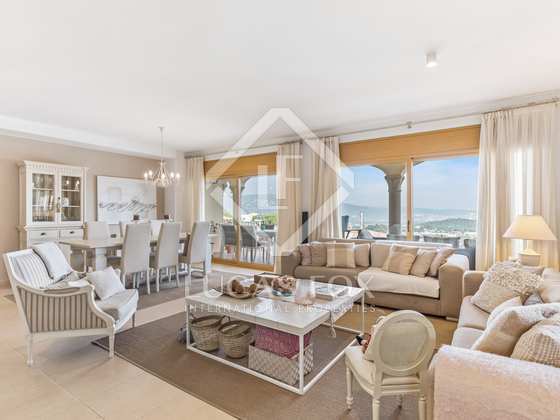 The very spacious, fully equipped kitchen offers sea views and a double bedroom with en-suite bathroom with a bathtub and access to a balcony, also with wonderful views, completes the main floor. 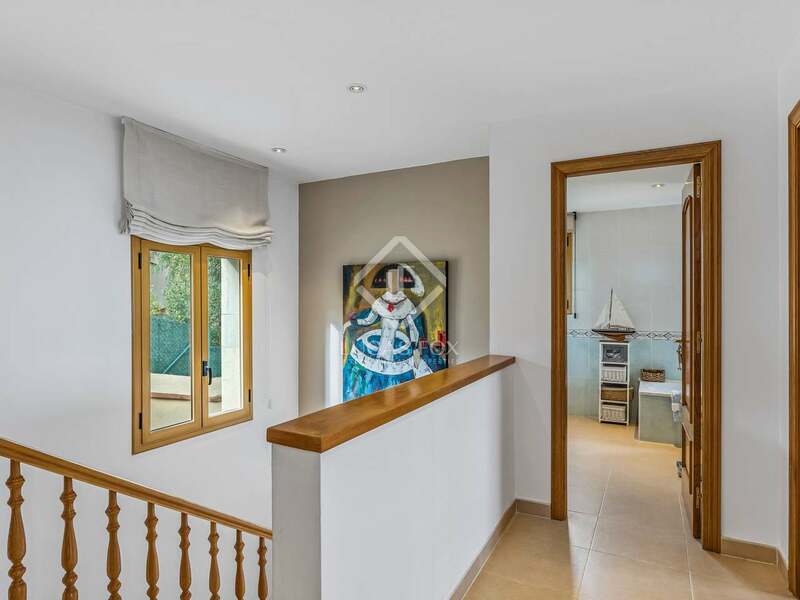 A staircase leads to the upper floor where we find the night area. 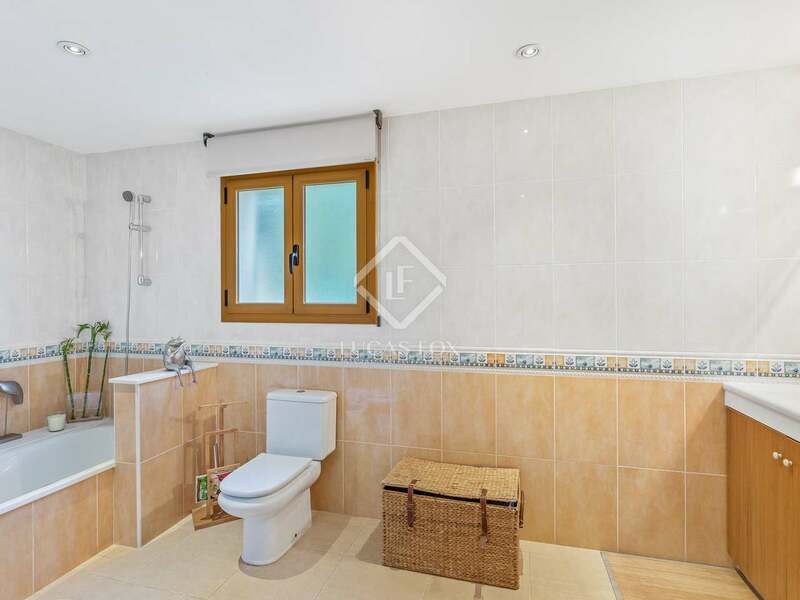 The master bedroom with en-suite bathroom also has a large, practical dressing room and access to a private terrace overlooking the sea. 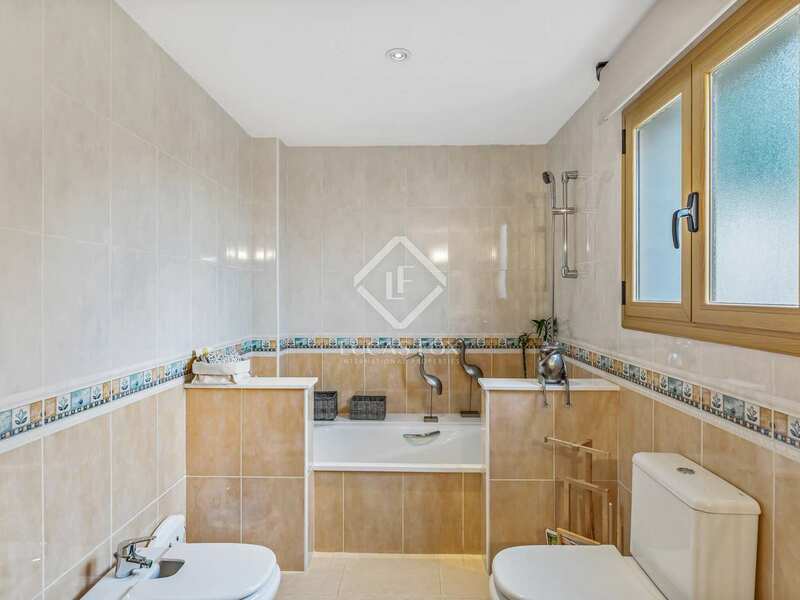 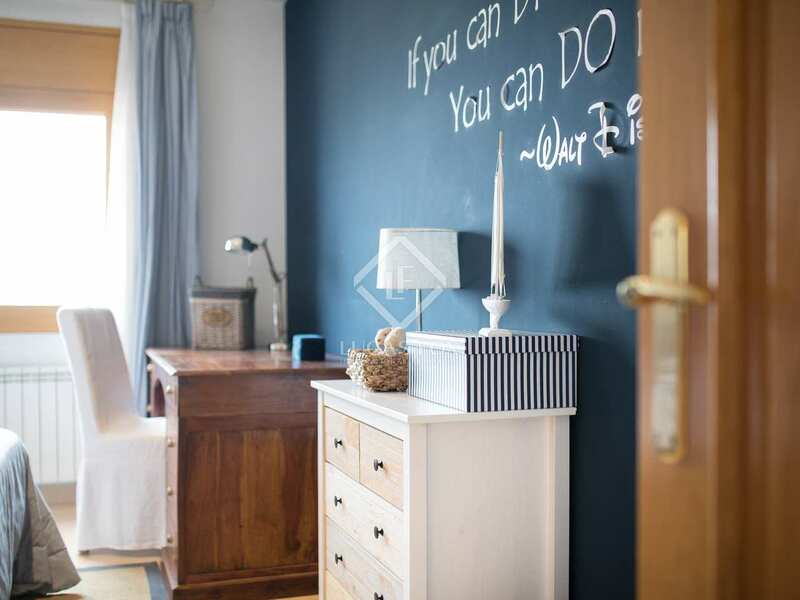 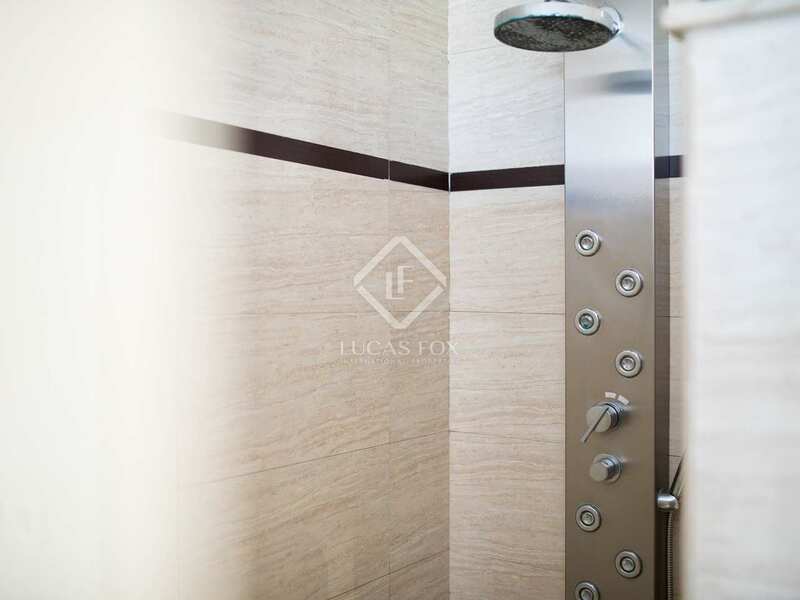 Two further double bedrooms share a complete bathroom and a there is a guest toilet. 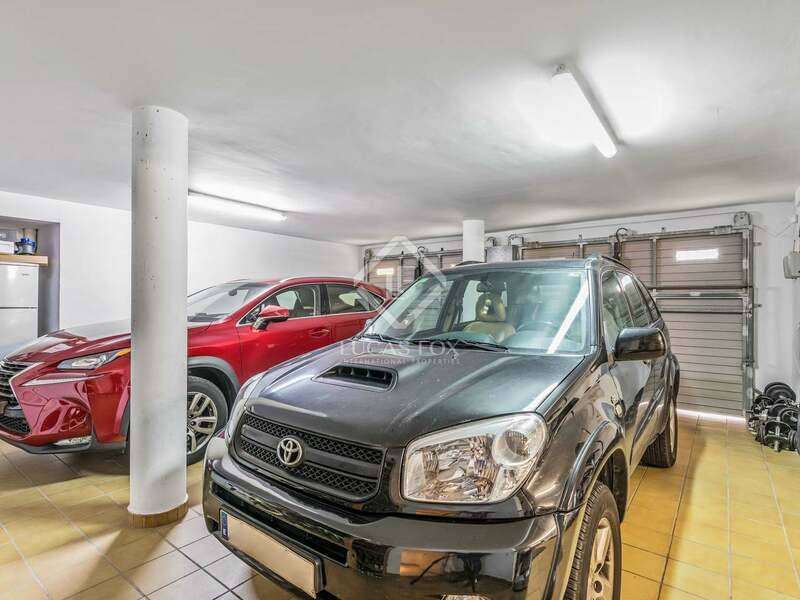 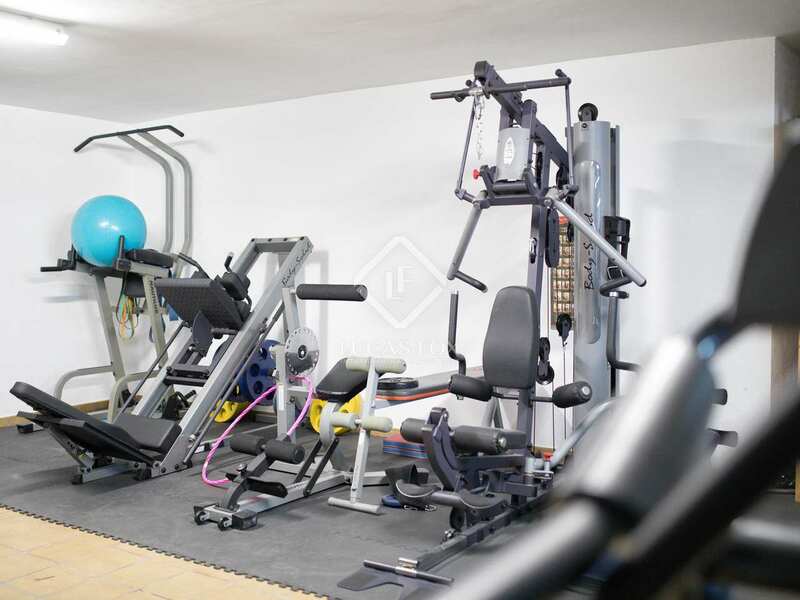 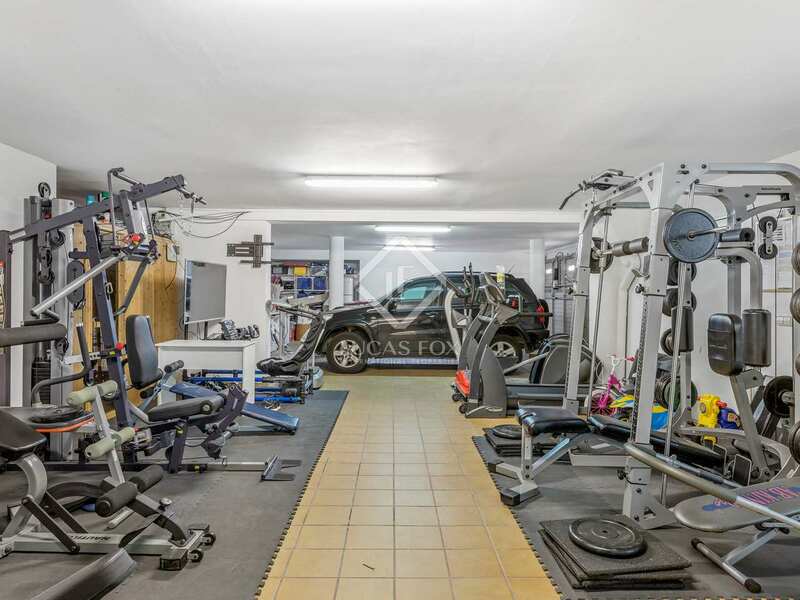 The lower floor benefits from a generously-sized closed garage with 2 parking spaces, a gym with a sauna, the machine and laundry rooms. 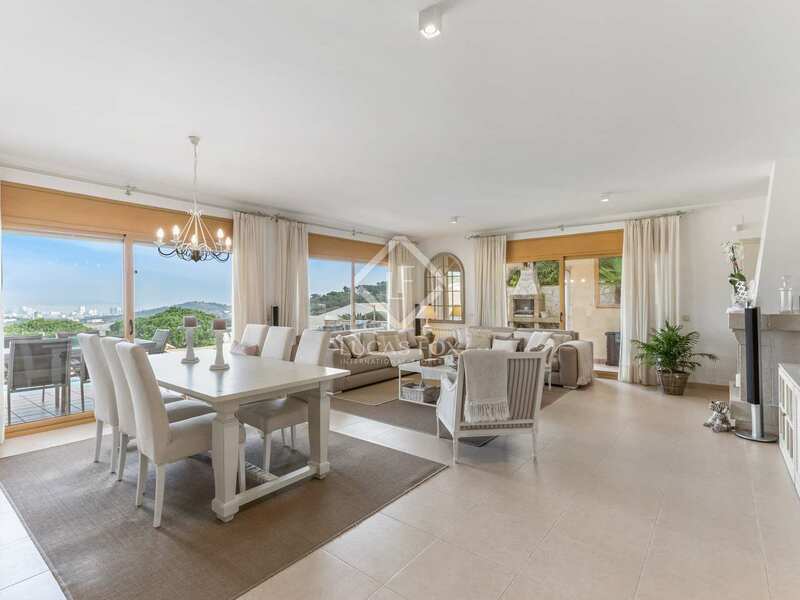 Finally, from the main floor terrace we access the garden area and the pool, perfect to cool off during the hot months and enjoy the views of the sea, the mountains and the surroundings. 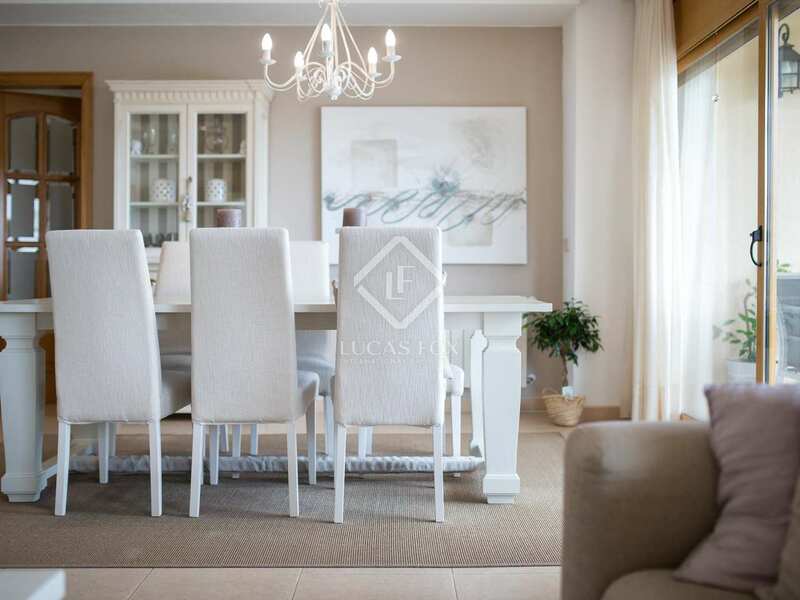 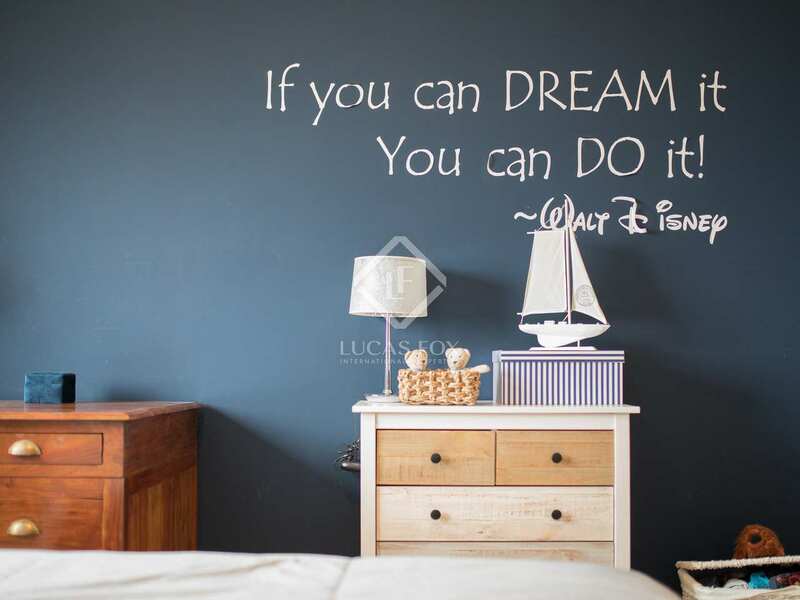 The house has exclusive finishes, including solar panels, heating by natural gas radiators, reverse osmosis machine, a water tank and alarm with surveillance cameras. 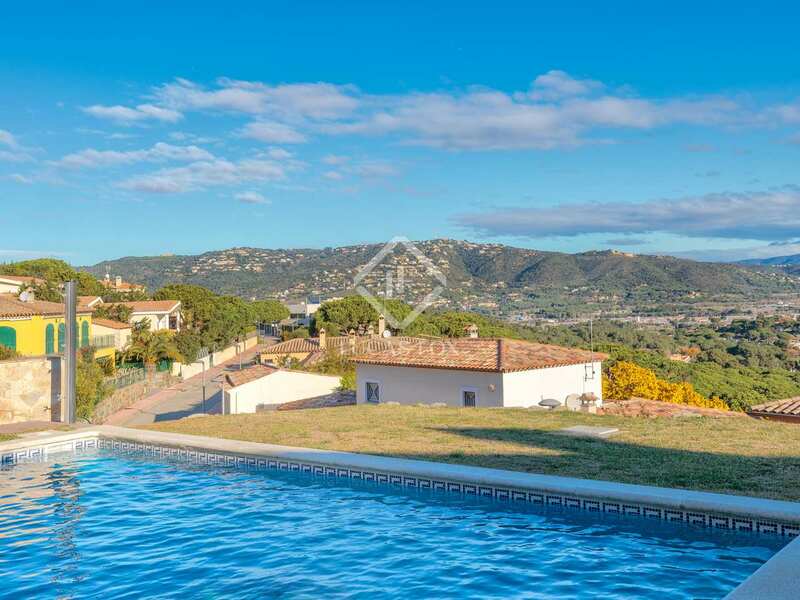 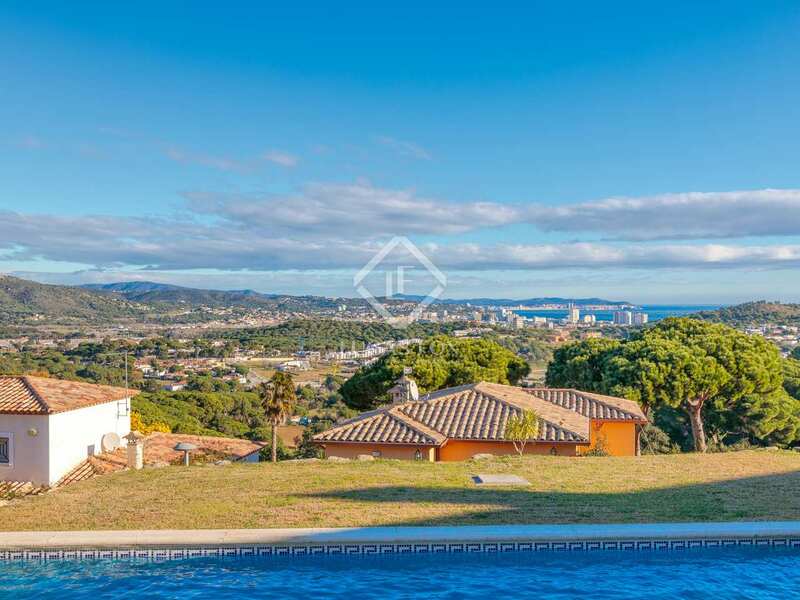 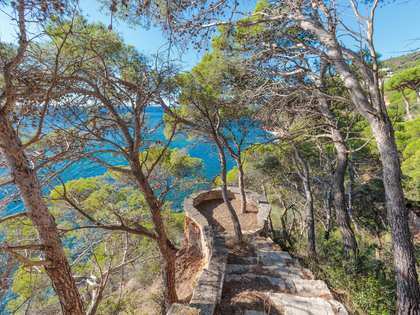 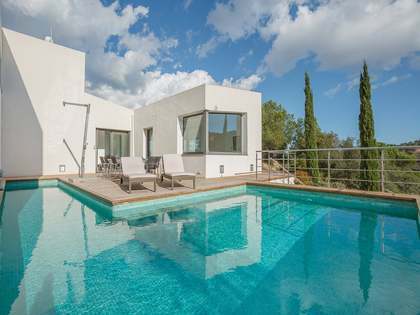 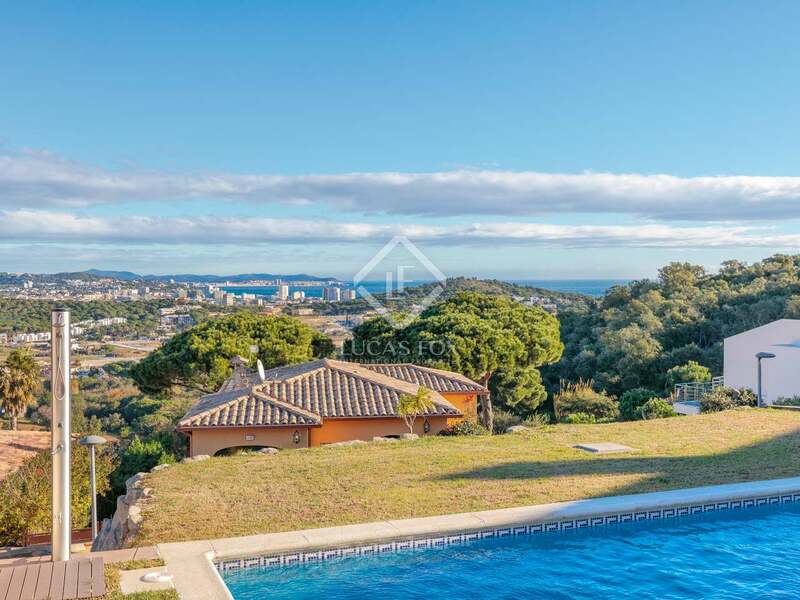 Contact us to visit this magnificent house with a pool and sea views for sale in Sant Feliu de Guíxols. 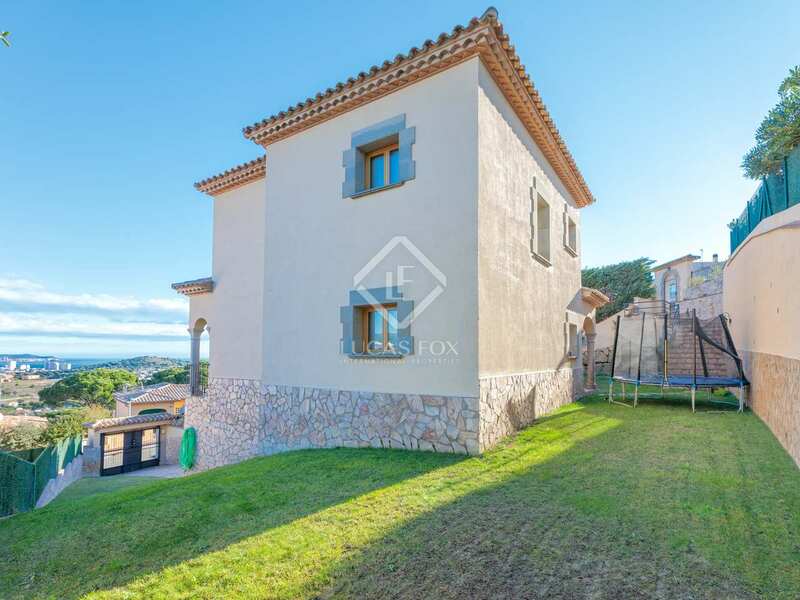 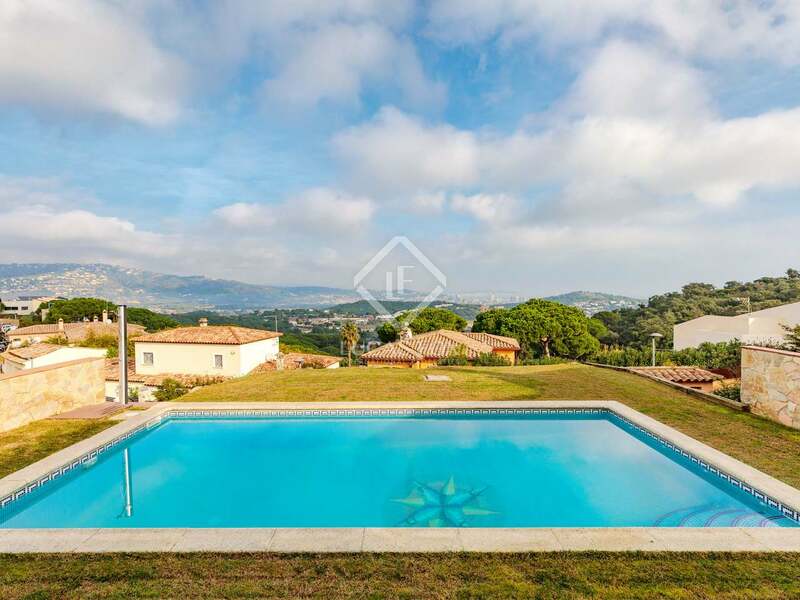 Property located in the area of Les Bateries of Sant Feliu de Guíxols, in a very well located residential community, a few minutes from the beach of Sant Pol de S'Agaró and the town of Sant Feliu de Guíxols. 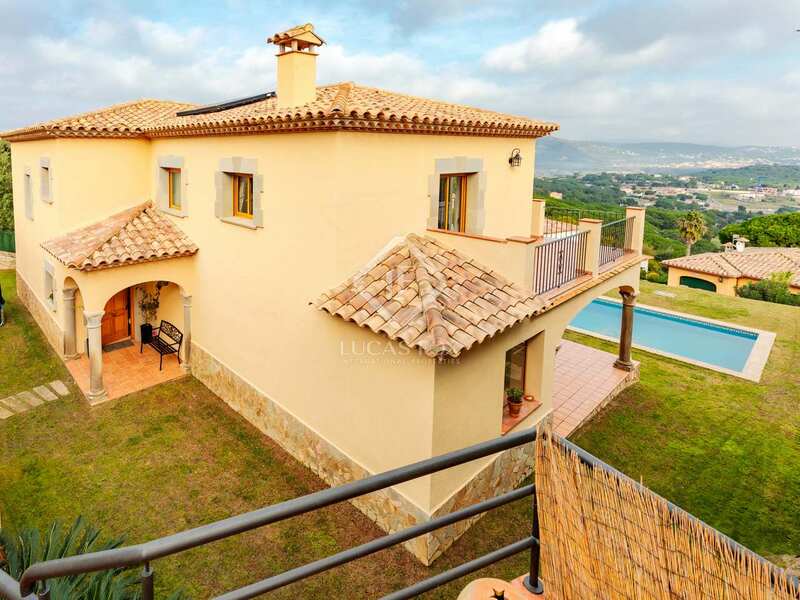 This town offers all the services necessary for year-round living as well as an excellent gastronomic offering.